Microsoft's ongoing move to the cloud paid off once again over the past quarter, as strong growth from Azure and Office 365 offset declines in the PC market. The company announced on Thursday that its quarterly revenue for the three-month period ending in September was flat overall at US $20.5 billion. The company's net profit was down 4 percent year-over-year from $4.9 billion to $4.7 billion. Those results were driven by quarterly revenue from the company's Intelligent Cloud segment, which includes Azure and Windows Server, and its Productivity and Business Processes segment, which includes Office 365 and Dynamics. Intelligent Cloud revenue grew 8 percent year-over-year to $6.4 billion, while Productivity and Business Processes segment revenue grew 6 percent to $6.7 billion. It's another positive sign for the cloud-focused strategy that the company adopted under the leadership of CEO Satya Nadella. Azure revenue grew by 116 percent year over year, and Microsoft revealed for the first time that its profit margin from its cloud platform is 49 percent. The company continues to keep the exact revenue and profit numbers from its public cloud platform under wraps, however. Office 365 commercial revenue grew 51 percent year-over-year. 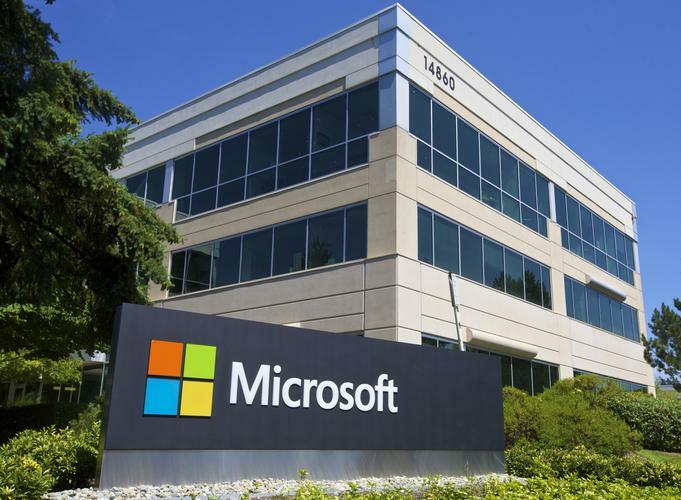 Microsoft reported it now has more than 85 million commercial monthly active users of its cloud-based productivity suite as a service offering. Surface sales were another bright spot for Microsoft. The company's line of tablets and laptops brought in $926 million over the past quarter, compared to $672 million during the same period in 2015. Phone revenue continued to drag the company down for another quarter, however -- revenue from that division dropped by 72 percent year-over-year. Microsoft's non-GAAP results of $22.3 billion in revenue and earnings of $0.76 a share blew past analyst expectations for the quarter. The consensus of analysts polled by Thomson Reuters was an expected $21.7 billion in revenue and earnings of $0.68 a share. Investors rejoiced at the news, sending the company's stock to an all-time high above $60 per share, beating a previous high set in 1999.